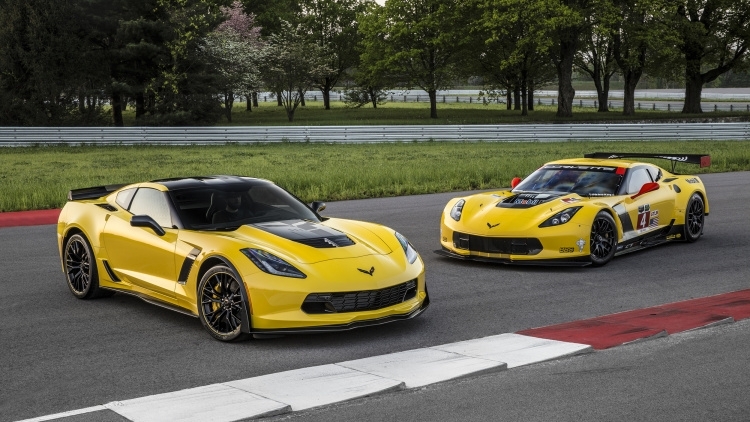 LAS VEGAS – When the Z06 rejoined the Corvette lineup in 2015 as the most capable model in the car’s long, storied history, it also joined an elite fraternity of the world’s most capable supercars – with performance proven on the track, including winning Car and Driver’s 2015 Lightning Lap evaluation. 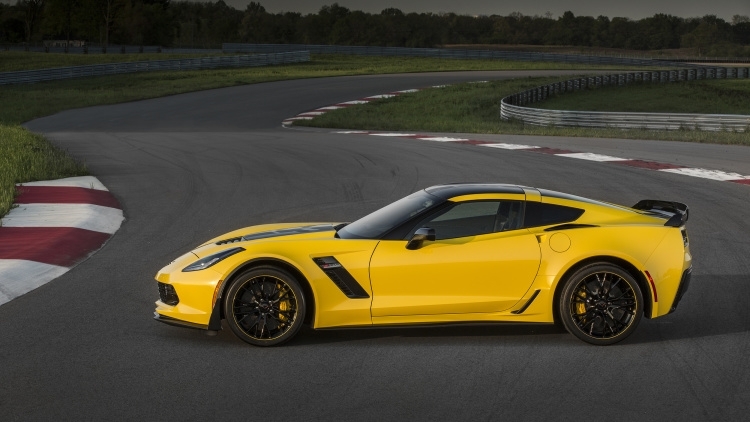 The Corvette Z06’s capability is derived in no small part from technology and experience leveraged from the championship Corvette Racing program. 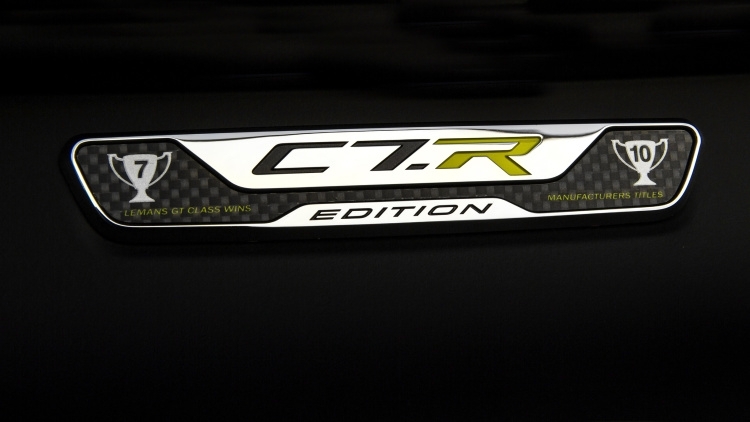 That connection is celebrated with the 2016 C7.R Edition. 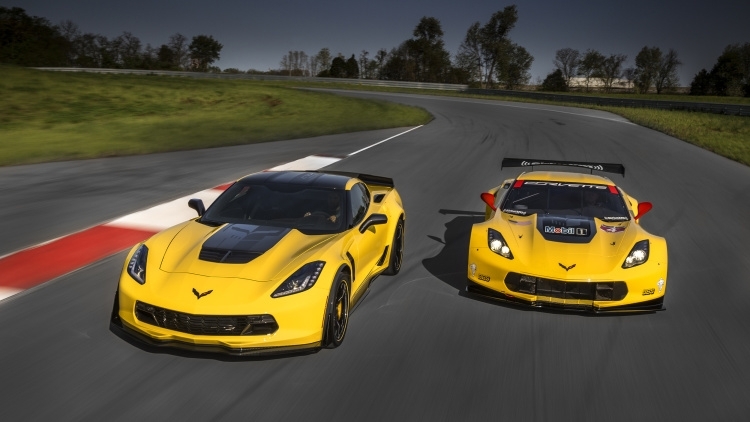 It’s offered in Corvette Racing’s signature yellow livery – or black – with coordinated exterior and interior accents. 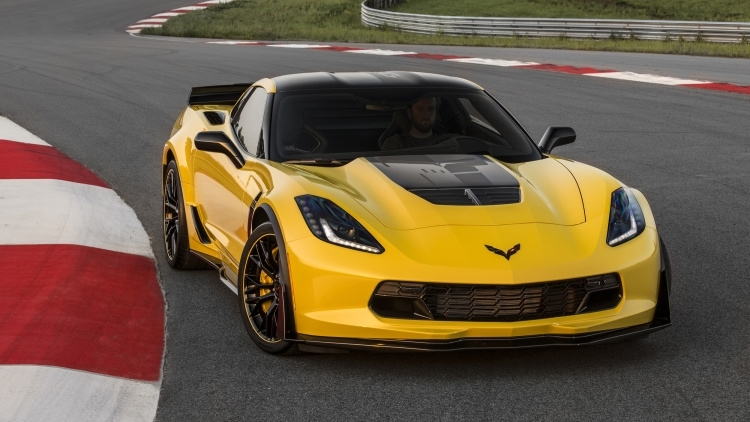 Only 650 will be built (500 for the U.S. market), all with the Z07 Performance Package with carbon ceramic brakes, and a specially serialized vehicle identification number. – Special indoor car cover with C7.R graphics. 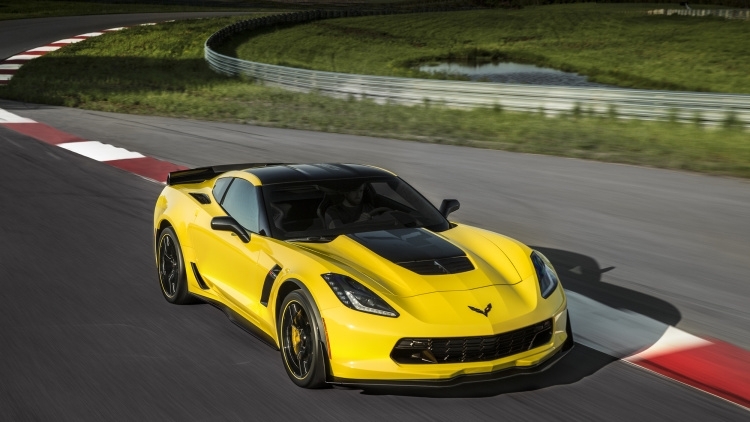 The Corvette Z06’s capability is rooted in its LT4 supercharged 6.2L V-8 engine, which is SAE-certified at 650 horsepower (485 kW) at 6,400 rpm and 650 lb-ft of torque (881 Nm) at 3,600 rpm – making it the most powerful production car ever from General Motors and one of the most powerful production cars available in the United States. – 60-0 mph braking in only 99.6 feet – the best of any production car tested by General Motors. 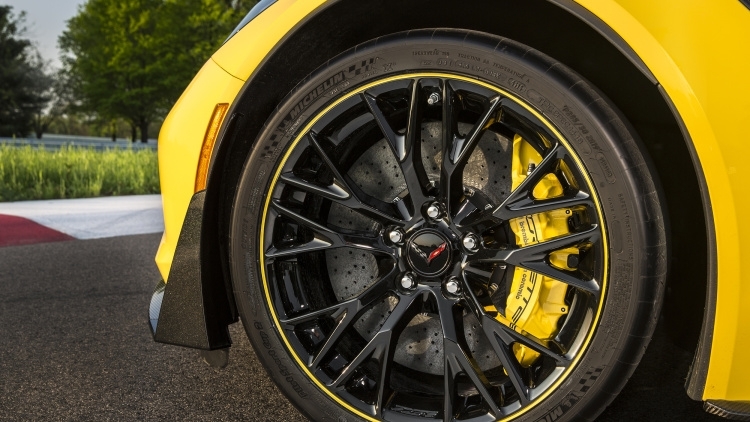 The Z07 package adds adjustable front and rear aero components for true aerodynamic downforce, Michelin Pilot Super Sport Cup tires for enhanced grip, and Brembo carbon ceramic-matrix brake rotors that improve braking performance and contribute to greater handling through reduced un-sprung weight. Along with the new C7.R Edition, the 2016 Corvette Z06 is offered with three all-new color-themed design packages: Twilight Blue, Spice Red and Jet Black Suede. 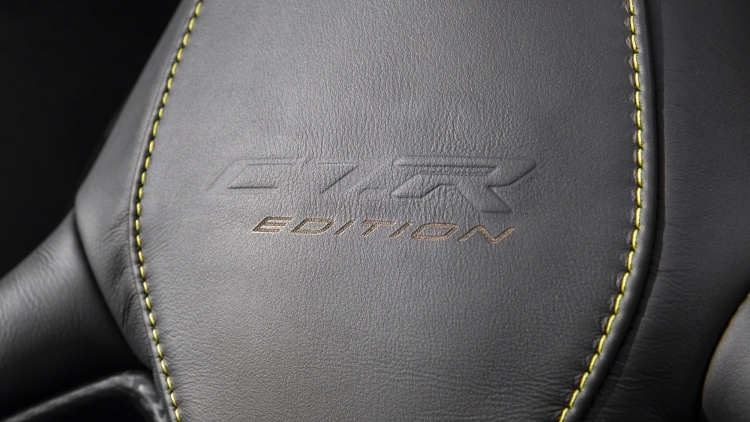 Each offers custom-tailored appearances that elevate the Z06’s presence on the street or track, while features such as an available front parking camera and power-cinching latch for the coupe’s hatchback or convertible’s trunk enhance convenience – and add an extra measure of protection. – New Performance Data Recorder icon on the MyLink screen (if equipped). 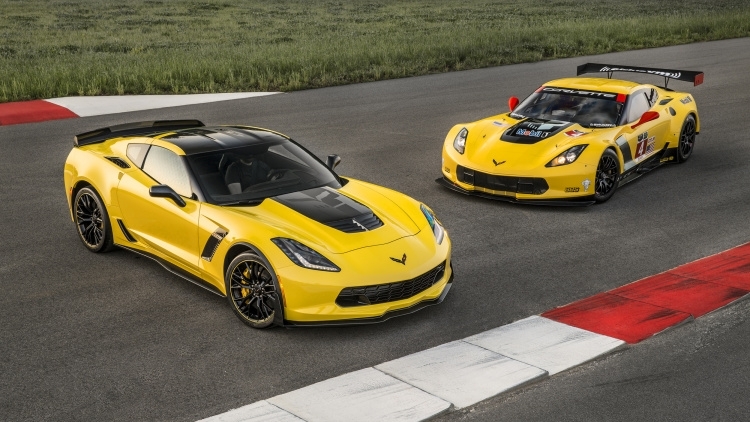 The Corvette Z06 C7.R Edition will be shown with more than 20 Chevrolet concepts and production vehicles this week at the SEMA Show, in Las Vegas. Also on display is the new LT4 crate engine packages that allow the power of the Corvette Z06 to be used by hot rod builders in their vintage cars and trucks.